In the chilling second book in the New York Times bestselling Asylum series, three teens must return to the asylum that still haunts their dreams to end the nightmare once and for all. 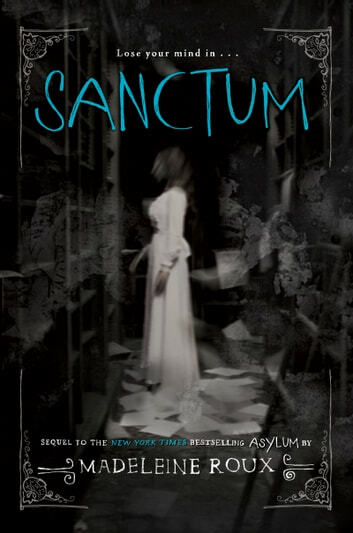 With the page-turning suspense and horror that made Asylum such a standout, and featuring found photographs from real vintage carnivals, Sanctum is a mind-bending reading experience that's perfect for fans of the smash hit Miss Peregrine's Home for Peculiar Children. Dan, Abby, and Jordan remain traumatized by the summer they shared in the Brookline asylum. Much as they'd love to move on, many questions remain, and someone is determined to keep the terror alive, sending the teens photos of an old-timey carnival, with no note and no name. Forsaking their plan never to go back, the teens return to New Hampshire College under the guise of a weekend for prospective students, and there they realize that the carnival from the photos is not only real, it's here on campus, apparently for the first time in many years. Sneaking away from sample classes and college parties, Dan and his friends lead a tour of their own—one through the abandoned houses and hidden places of a surrounding town. Camford is hiding a terrible past, and the truth behind Dan's connection to the asylum's evil warden is more terrifying than Dan ever imagined. Don't miss Madeleine Roux's all-new gothic horror novel, House of Furies. This is a very good sequal to the first book asylum. This book moved along faster and kept you wanting to read more, it was very hard to put down. My Review: In this sequel to Asylum, Dan, Abby, and Jordan are still very much traumatized by the summer the spent at the Brookline asylum. Despite their best efforts to move on, someone wants to keep their terror alive, sending them old and creepy carnival photos. Determined to figure out who is behind this, and how to make it stop. The teens return to New Hampshire College as weekend prospective students only to find the carnival not only real, but on the college campus. Between sample classes, college parties, and their mentors, Dan and his friends embark on a journey and uncover a horrible past that Camford is hiding, and it runs much deeper than the teens could ever imagine. Dofidfogjordgjrkgjmnkgnfdkgfd. That’s what I feel like this post should look it! Full of gibberish because I just can’t even! Allow me to attempt to gather my thoughts in a review that contains actual words. It’s not secret that I loved Asylum! 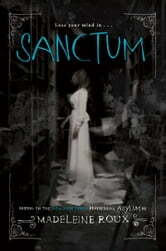 I don’t live to far from an old haunted asylum myself, so the book sparked my imagination. Sequels are tricky, sometimes they work, other times they seem to fall short of the first book. But fear not! This book lives up to and is dare I say it, better than the first! This book really does have it all, and the mystery of it all keeps this a fast-paced, entertaining, on the edge of your seat, have to know what’s going to happen next type of book. At one point, I just has to put the book down and walk away, the plot twists, it’s just all so amazing! This is one of the rare few books that I could read over and over again. If I just need to be spooked a little, or want to get into the Halloween spirit. I cannot recommend this book enough! I currently have the prequel to this book, sitting ready to be read, not only do I love the entire Asylum series and wish it would never end, I’m also very curious on finding out more about the Scarlets and their members! Madeleine Roux is by far my new favorite author, I have a few books of hers ready to read when I get some extra time. Positive Elements: Felix begs Dan for forgiveness for what he has done to him. Micah, Dan’s host for the weekend, is against the prospective students going to any frat parties. Micah mentioned to Dan that he had been in some trouble in the past, which he is trying to make up for and turn his life around. Negative Elements: There are swear words uses throughout the book. Being at a college campus with college parties, there is quite a bit of drinking, and some underage drinking as well. Despite Micah stating he didn’t want any of the prospective students going to frat parties and getting drunk, he gives Dan an alcoholic drink. Micah admits to getting stoned before going to the tour. Warden Crawford conducted experiments on prostitutes. As a child Warden Crawford tortured and killed a bird. Spiritual Elements: God’s name is misused throughout the book. Other Thoughts: Of course being a Whovian I have to make a random side note, and just completely freak out that Doctor Who was mentioned again! Couldnt stop reading it. I feel like the ending should have been different, but it was good. A super read. Creepy in all the right places and suspenseful enough to keep you reading long into the night.